Big, tall, boxy and clunky, it looks like the lovechild of the T1 Cunningham and an industrial air conditioning unit. 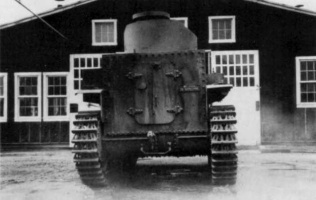 While it has less hull armor than the M2 Light Tank, it does have slightly more hit points. The main distinction of the T2 Medium is its ability to utilize the fun 37mm Browning Semiautomatic Gun, which uses the same mechanics as the French autoloaders. It can't take much damage, but it is a stepping stone to all of America's heavier vehicles. If nothing else, the slower speed, imposing size, and the new tank icon will give tankers a taste of what that branch of the tech tree has to offer. Best signal range for its tier, with the SCR 506. 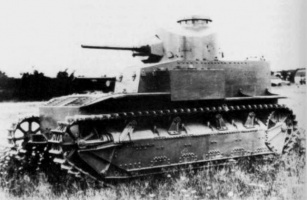 The T2 Medium Tank has one advantage over the M2 Light Tank: The 37mm Browning Semiautomatic Gun. 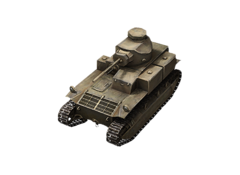 However, compared to the M-5 37mm Gun, it has slightly less penetration and slightly less accuracy, so which you choose depends on your play style. Sniper orientated players would prefer the M-5 with its greater penetration and marginally better accuracy, whereas close-in fighters should go for either the 20mm Hispano-Suiza Birgikt Gun or the 37mm Browning Semiautomatic Gun. 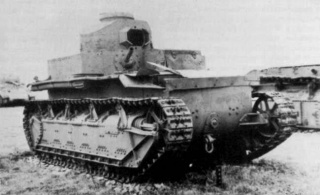 Regardless, your tank's armor has few to no angles and is relatively thin, so playing as a support tank is highly advised. Use cover and learn to inch out a little, fire, and then duck back behind cover again (a.k.a. "peek-a-boo") with this tank. It's a skill you'll use a lot in future tanks. Also don't forget that you can press the "C" key to reload a partially loaded magazine. Never leave cover without a full magazine. Unfortunately, the engine upgrade is very poor. It only adds 10 horsepower and adds 99 kg, so don't expect much over the stock engine. Lastly, the SCR 506 radio is an excellent radio that's used on no less than 20 vehicles in the American tree. If you don't want to take the time to research it on tier 2, then research it on tier 3. You don't want to go beyond that without it. Upgrading the suspension will add 4 deg/s to traverse speed. 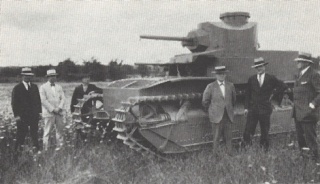 In the early 1920s, the United States built three prototype medium tanks. These were the Medium A built in 1921, the Medium A2 built in 1922, and the T1 built in 1925. This page was last modified on 26 August 2014, at 23:39.